So Graham, Darkpixxi and I are not going to be at Katsucon this year, although Kamille will be. No sadness, we are doing something else fun. However, a few people have asked if I would be presenting “Wiggin’ Out” again this year, and of course, I won’t. Haven’t figured out how to make that whole being-in-two-places-at-once thing work correctly. But I thought I might share a few tips, not so much for wig care, but for overall improved wig wearing/style/fun here. Basically, just a few ways to up your wig game without breaking the bank. (I do hear a lot of complaints that they advice most people receive is to buy lace front wigs or buy more expensive wigs). Number 1) Figure out what the circumference of your head is. Seriously, measure around your hairline. You will be MUCH happier if you find out your circumference is 23 inches and you stop buying wigs that fit heads up to 20 inches. This wig is really cute, but if an adult man tries to wear, he may not be so happy. or hair dryer and a pair of scissors that you will dedicate to using only on your wigs is worth it. You can keep the scissors nice and sharp to get the razor cut effect and the steamer will be incredibly handy for styling wigs-especially curling them. Alternatively, you can get the wig damp with a spray bottle and curl it that way. Both are very effective. Number 3) Have some wigs to play with. The people I know who are best at taking care of wigs, styling them, etc. all have wigs that are not for cosplay or have a lot of cosplay wigs and restyle them. Getting a few inexpensive wigs are just playing with brushing them, cutting the bangs into different styles will go a long way in building your comfort with wigs. If you have the option, see if a local beauty store is selling any wigs inexpensively. 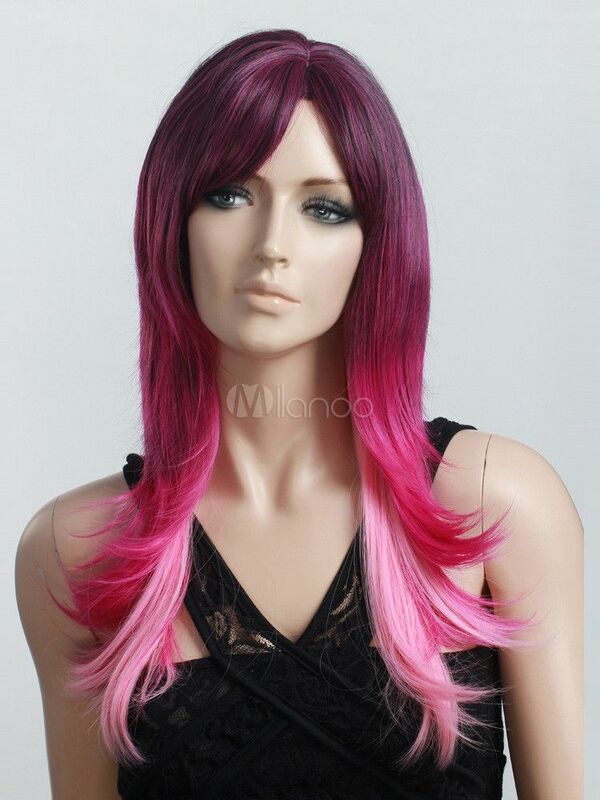 My other favorite go to is Milanoo.com where you can buys wigs like this one fairly cheaply. They have a variety of affordable wigs. I know Angelicos and MapofBeauty on Amazon are also excellent choices and eBay has a variety as well. I am not necessarily endorsing the quality of these wigs, more the affordability so that you can play with wigs. Ste[ 4) Store your wigs safely! There are a ton of tutorials on how to store wigs available and I still get asked to restore wigs that have been lying on the floor in a pile (This is the most common commission I get). They aren’t hard to store, in fact, you buy them with almost everything you need to store them. If you don’t believe me google it or watch this video from Alexa Poletti. (embedded below) We have very similar storing methods. I usually label the bags with masking tape, and will include the style as well as the character if is for cosplay. Number 5) IMHO this is the most important one-remember that your wigs are plast. Or at least synthetic wigs are. If you have any number of synthetic wigs, this is the paramount key to taking good care of them. They won’t respond to the majority of products made for the hair on your head, because often these are designed to interact with the proteins in human hair. Guess what! Synthetic wigs don’t have these. Also, they can respond quite differently brushing, teasing, protectant prays, detanglers, and cutting than regular hair. Keep this in mind when you are trying to thin a wig or make it look fuller.